Hello! 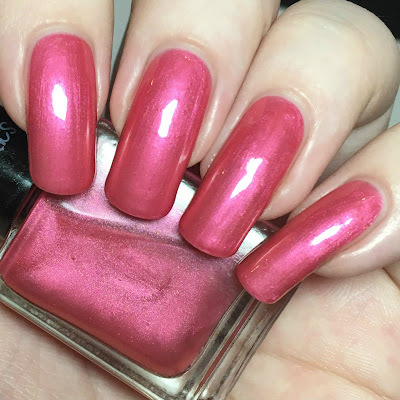 Today I have six new polishes from UK indie brand Vegan Beauty Cosmetics (formerly known as Effiena's Handmande Polish) to share with you. 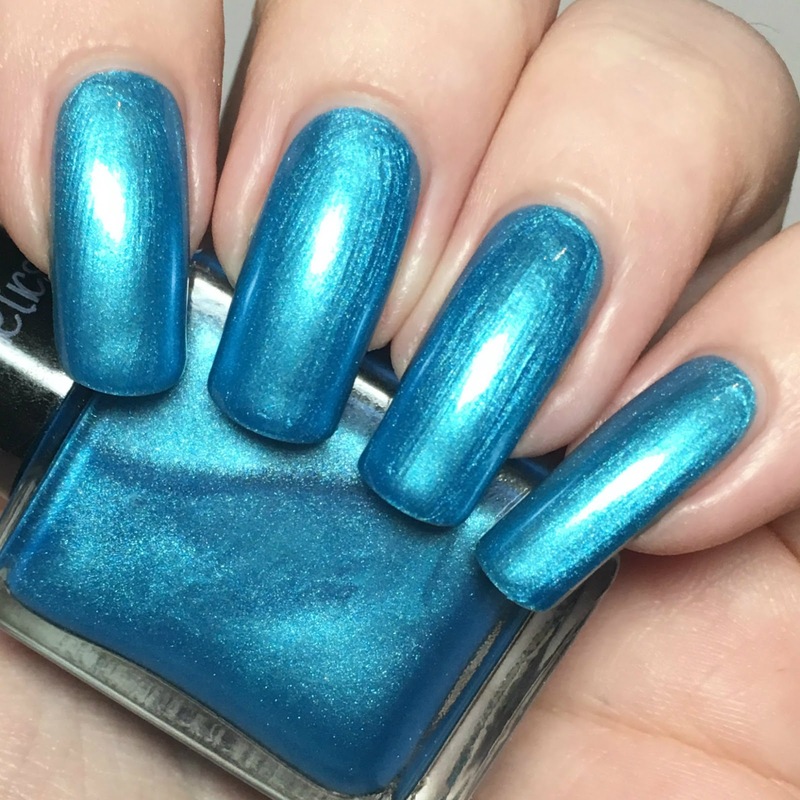 Effinea recently rebranded as she wishes to slowly expand to include more than just nail polish. I also have a discount code for you at the end of this post! Read on for full swatches and more info. The polishes all have fairly similar formulas. To avoid repeating myself for each one, I'll start with a general overview. 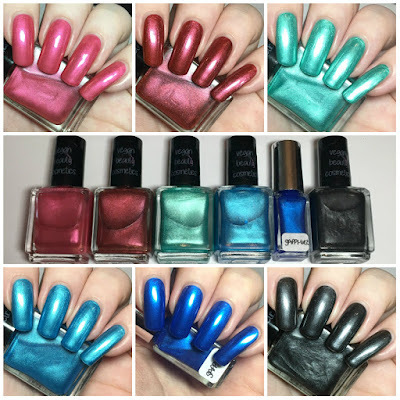 All six are gorgeous pearlescent or shimmers, making them super reflective and almost metallic/foily. Due to the finish, they tend to apply smoother over a basecoat. They also dry quickly. Onto my swatches! 'Princess' is a bright pink. This is the first one I swatched, so is the only one shown without basecoat. It is one of the sheerer colours but applies evenly and builds up nicely in three coats. Below is three coats and topcoat. 'Burnt Rose' is a rich, deep red. This is one of the more opaque colours, easily reaching full opacity in two quick coats. Below is two coats and topcoat. 'Emerald' is a soft but bright green. This one is right on the line between needing two and three coats. You could easily get away with just two, but I did add a third for my swatch. Below is three coats and topcoat. 'Cindy' is a bright baby blue. 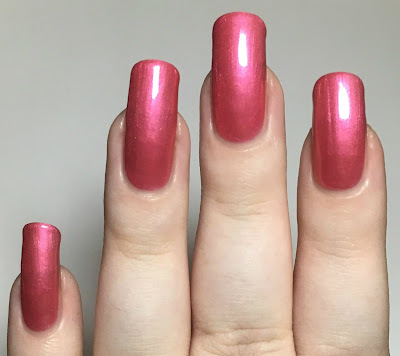 I managed to get this fully opaque in just two coats, but I can see how you might need a third depending on your application. Below is two coats and topcoat. 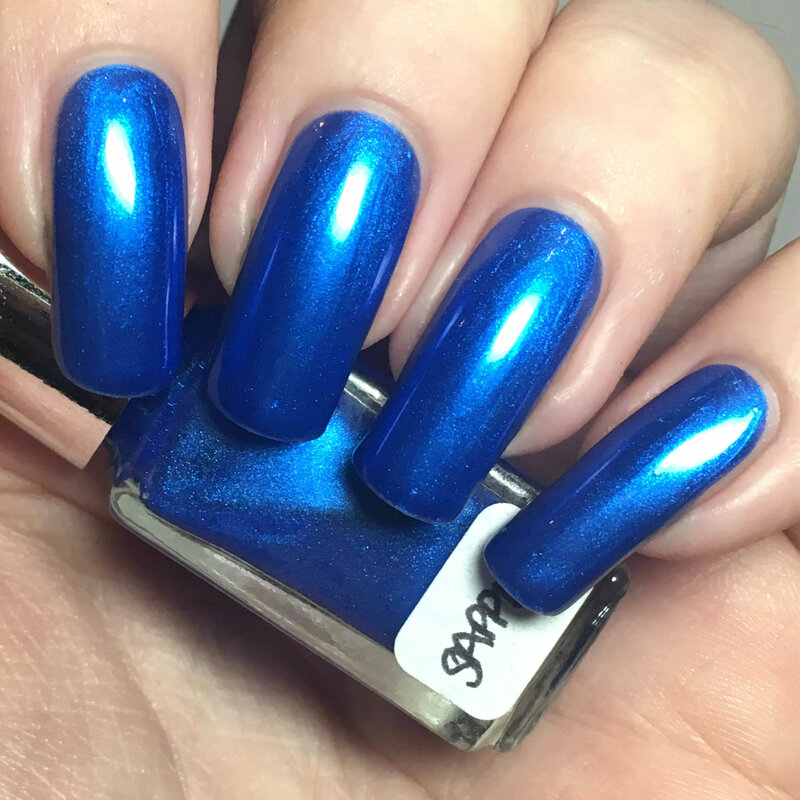 'Sapphire' is a rich, royal blue. I expected this to be a two coater, but I did need three. I have a feeling it may be due to the fact that I have a mini, and the brush is smaller than in the full size bottles. Below is three coats and topcoat. 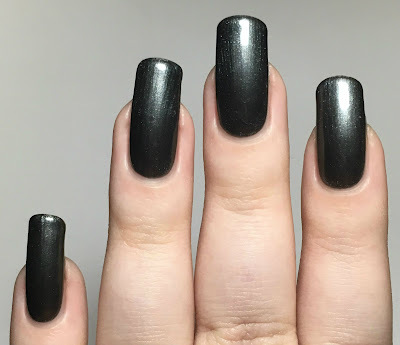 'Midnight' is a black. 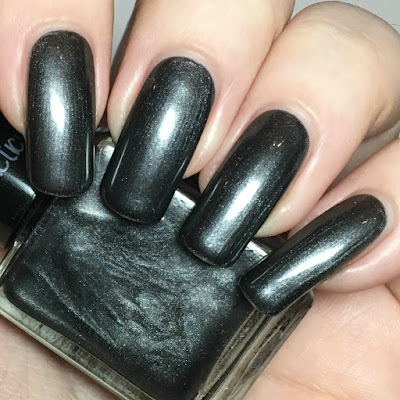 This was opaque for me in two coats, but it wasn't quite dark enough. You could leave it at two as a deep grey colour, or add a third (as I did) to match the black in the bottle. Below is three coats and topcoat. I also tested all six polishes to see if they would stamp. They did stamp but not massively well. 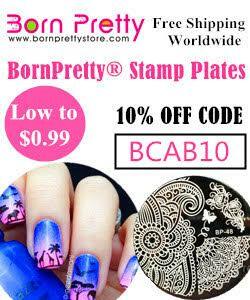 I had no problems picking them up or actually stamping, but I wouldn't say they were opaque enough to stamp with. Here's a quick look over both black and white. What do you think? I really like all of them! I don't have many polishes with this sort of finish, so they're actually quite unique to my collection. 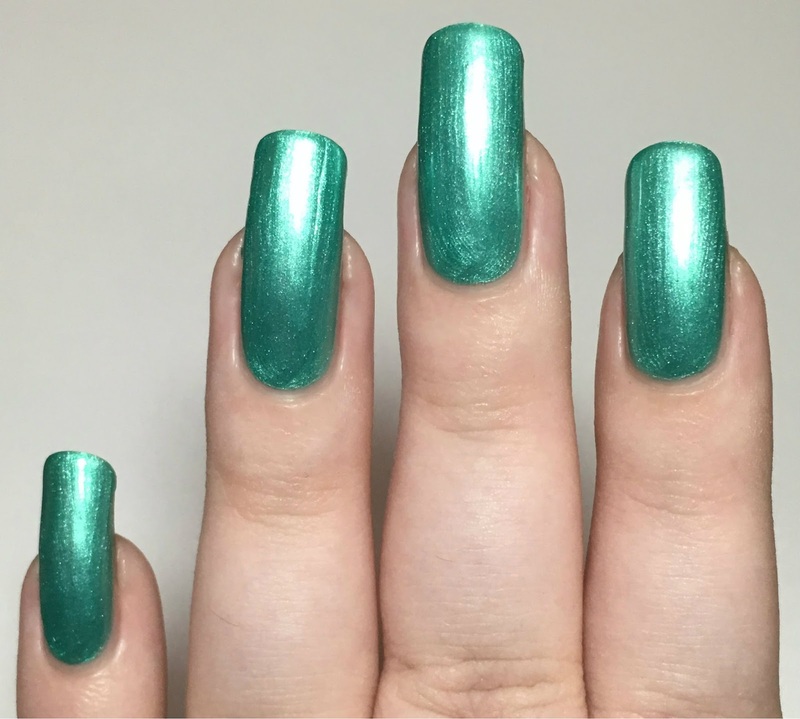 I'm torn between 'Emerald' and 'Cindy' for my favourite, I just love how bright and sparkly they both are! I should have some nail art with a few of these coming up soon. You can find Vegan Beauty Cosmetics on etsy here, and on Instagram here. As promised I do have a discount code - use 'ACB10' to get 10% off any orders of £5 and over (expires 31st January 2017). Love the blues! These are all really great colours, a brand to look out for! 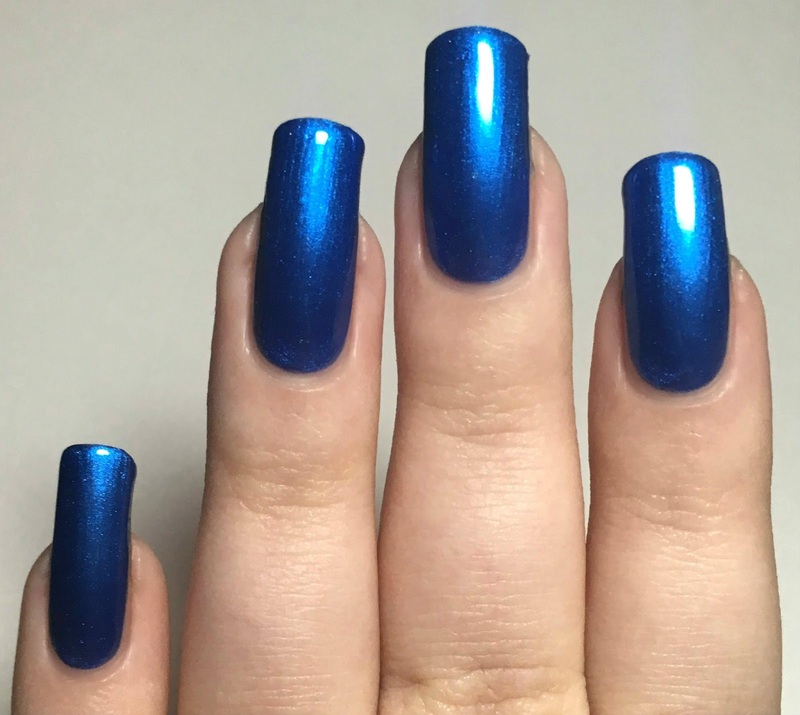 The blue looks like a great stamping polish over black. 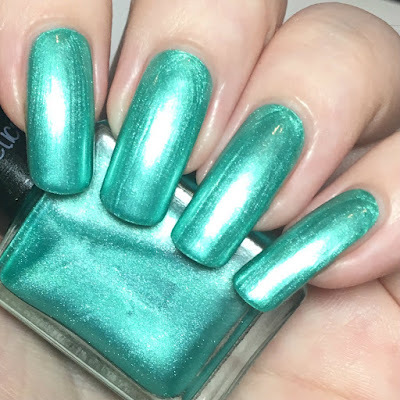 I like the brightness of Emerald. Burnt Rose is so pretty! Burnt Rose is really pretty! 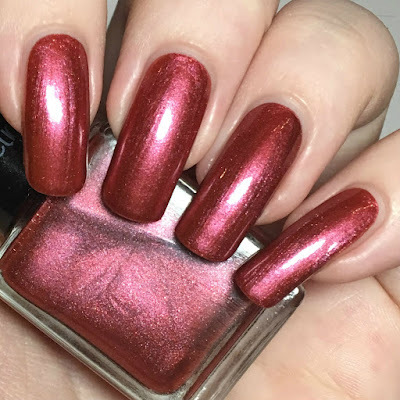 Very pretty - sometimes, you just need a good metallic in your life! Emerald and Cindy are my faves! Burnt Rose and Sapphire are my favourites. I love jewel tones such as these. The color is gorgeous... but I love your nails. I have similar nails when they grow out and think that I will be able to pull off these colors. I love Cindy!!! Gorgeous swatches!!! Those are really pretty colors...how do you avoid breaking those long gorgeous nails? I'm totally regretting cutting mine to shorties this week.